The Cashmere yarn comes from the Cashmere goat. The goat mainly lives in Mongolia where the climate fluctuates with cold winters and hot summers. To adapt to this harsh climate, the goats have developed two layers of wool. A thicker outer layer that protects them from water and an ultra thin underlayer, the Cashmere fibre, that provides a strong insulation. 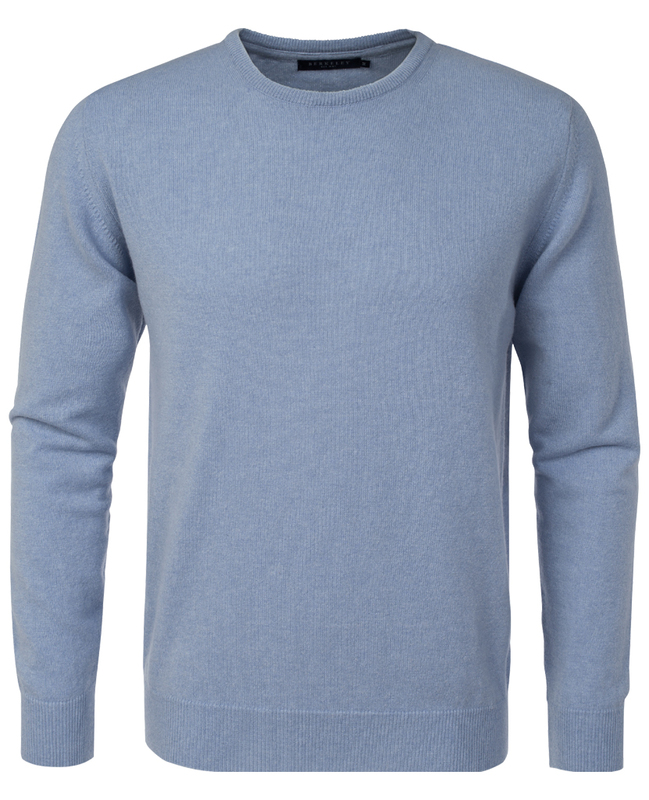 Cashmere is the finest and softest yarn one can wear. The softness comes from the ultra thin fibre that creates a very fine texture. Because it is so thin the density of the fibres is much higher than for normal wool. The result is no itchiness and therefore it is often worn directly on the skin. Time-honoured traditions continue in today’s gentleman. Confident, yet humble. This connoisseur is the inspiration behind the Berkeley brand and to everything we do. You can see it in the classic, high quality craftsmanship and our meticulous attention to every detail. Timeless styles ever-so-slightly updated to reflect and embrace the values and lifestyle of the Gentle Man.